You're probably a long ways away from South Africa. But wouldn't it be incredible to travel there some day? Maybe you're lucky enough to have already been there. 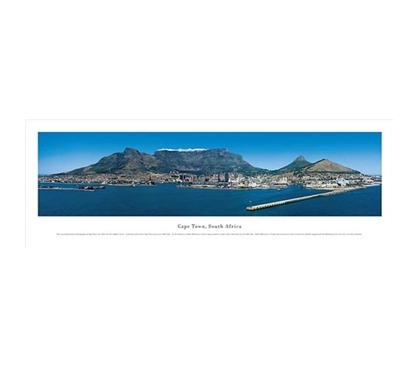 Either way, this panorama for college will make a cool and unique addition to your college wall decor. When decorating your dorm, find unique dorm items that have character. College decor items should be some of your most fun dorm stuff. 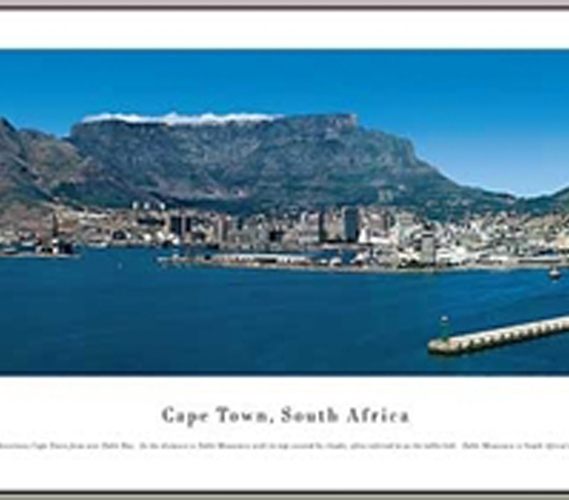 To keep your dorm room looking its best, include a panorama or two as part of your dorm room wall decorations. 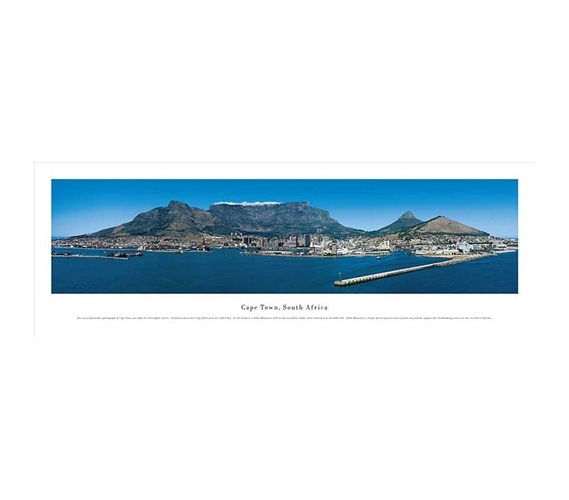 This aerial panoramic photograph of Cape Town was taken by Christopher Gjevre. It features downtown Cape Town from over Table Bay. In the distance is Table Mountain with its top covered by clouds; often referred to as the tablecloth. Table Mountain is South Africa's premier tourist attraction and the top provides breathtaking views over the city and its beaches. From the far right is Signal Hill and Lion’s Head. Left of Table Mountain is Devil’s Peak. Together, these mountains overlook the city and the area known as the city bowl. Tourism remains the most important economic key to Cape Town.